I would like to take this opportunity to remind you that the 10% off sale at Book Depository expires on May 14th, so if you have any purchase or pre-orders you want to put in, now is a great time! Oooh fantastic books that Stephanie got this week! I picked up Bitten by Kelley Armstrong a while back because I heard it was set in Toronto... Looking forward to checking it out! I really enjoyed The Goddess Test. My review is here. I will be reading and reviewing Goddess Interrupted soon so you can come back to see what I think! What a fantastic idea!! That reminds me, I better do some shopping on there before the sale's over in 2 days! And that's what I love about Stacking the Shelves! It's not only to showcase what we received by post, but also books that we borrowed, or added to our kindle/ipad/ereader! I got Hemlock this week too! Born Wicked is sitting on my TBR bookcase just waiting for me :) I hope you enjoy all your new lovelies! Both have really pretty covers! I'm reading Hemlock right now so my review of it will be posted soon! I want to read Hemlock as well. I have yet to start the Parasol Protectorate series even though I own the first book. Too many books so little time. I also want to read Born Wicked! And Yay for Insurgent! Love that book. I only read the first 2 books of the Parasol Protectorate series, and this is the 3rd book that I bought. I'm trying to drag out the series because I don't want to see it finished! Although, Gail Carriger is writing a spin-off series... Awesome! Wow so many good books ! I heard amazing things about Hemlock I really need to buy a copy. I just finshed Insurgent I'm a little disappointed because I didn't like it as much as I liked Divergent but it's still a good book ! Oh and Born Wicked is awesome ! It's such a great debut novel and it's one of my favorite book in 2012 already. I'm sad to hear Insurgent was a bit of let down. It often happens with book 2 of trilogies. I'm still very anxious to read it because of how Divergent ended. I know, I know, I bad for not having read it yet but I'll get to it eventually lol! So many great books! I want to read Born Wicked and I just adore that cover! The Born Wicked cover IS pretty. I the book lives up to its cover! Oh a lot of books I loved as well, Happy reading! I hope you'll enjoy them all. Two weeks worth of books! And I just had to take advantage of the Book Depo sale! I don't know when I'm going to get to all of them but I will eventually! I must get some of the Kelley Armstrong books:Living with the Dead, No Humans Involved and Personal Demon. Take advantage of the Book Depo 10% off deal, like I did! Tynga has it baby Lily doing? What a great mother's day gift! Enjoy! Yaaayyy for WOTO books Stephanie!!!! !awesome haul!! !! 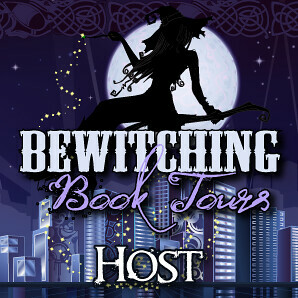 I will definitively come by your blog once I read them to enter your contest! OOh nice! I looooved Goddess Interrupted! And of course Kelley Armstrong's series was incredible! Looking forward to the finale this summer! Hope baby Lily is doing well Tynga! Hope you're doing well too! Remember how it was with my sister when she had her daughter a few years ago, and now my cousin with her baby! I'll make sure to stop when you have it posted! Thanks Jess! I'm having a hard time but I guess it'll get better. Looking forward to getting some reanding time lol haven't held a book in 3 weeks. I really enjoyed Hemlock. Hope you do to. I'm anxious to get my hands on Insurgent -- it sounds great, from everything I've read. Enjoy your books! I'm about a 1/4 done, and I'm enjoying it so far! Very nice haul! I'm dying to read the Parasol Protectorate series. Happy reading! I've only read the first 2. It was actually my introduction to steampunk and I've been addicted to the genre since! Wow, beautiful book haul! I hope you enjoy all your books, and I'm really curious about Averia. It has such a great cover but is it in English or French? I couldn't find any info. Averia does have a nice cover! Unfortunately, it is in French. I went to a French book fair this week and I just had to show the pretty books that I bought there too. Great book Haul Stephanie. I can't wait to read Hemlock. It sounds excellent, and I've read many great reviews about this one. It does sound good and the reviews have been really great. Can't wait to have enough time to really dig into it! You got great books this week! I also received Insurgent. I finished reading it last night, such an incredible book! Can't wait to get to Insurgent. I'm thinking after I finish Hemlock, I'll dig into it! I know what you mean. April and May have been really bad for my bank account. I went book crazy (or crazier than usual) these past few weeks! OMG. Stephanie you must be in book heaven. Trying not to be bad. I was this week as well. Will be at BEA next month. So now trying to make room. I know, I think I went a little too overboard. My wallet will regret it I think. Oh well, I try to tell myself that I would have bought them all anyways, sooner or later. So I guess it was sooner! Nice haul Stephanie! Love Kelley Armstrong, so glad you like her too! And congrats on your contest wins! Tynga, it will get easier. Try to rest when you can and remember to take care of yourself as well as baby Lily. I was quite surprise to win two contest so close together! I usually never win! Great book haul Stephanie! I'm drooling slightly over your copy of Hemlock! And I keep meaning to read the series by Gail Carriger! Have you read the first book, Soulless? And was it any good? I read the first 2 books. Soulless was my favourite out of the 2, and now I'm ready for book 3, the one that I just bought. This series was really my first forage into Steampunk, and now I'm hooked. I think Gail Carriger did a really good job introducing me to the genre because I keep going back to it! If you want to know more, you should really check out Jenn's reviews here on the blog! Nice haul! I want to read so many of these books! I got Insurgent too (so did everyone, I guess!) and I can't wait to read it! Happy reading! Insurgent does seem to be on everyone StS either today or last week! Divergent was such a great book that it's not hard to covet the sequel! Soo many great books, the covers are gorgeous, going to add a few of them to my TBR list! I am a sucker for gorgeous. I just HAD to buy Hemlock. So far, I'm liking every word of it! I seem to be stuck in a YA lately, not that there is nothing wrong with that! Hemlock and Born Wicked have been on my lookout for a while now so I'm anxious to finish both! I've been anticipating those 3 books too so much and now that they are all here, I don't know where to start! They all sound so amazing. I hope you enjoy them all! I really want to read Hemlock, may have to add that to my June list. So far, I've really enjoyed Hemlock. I'm only one quarter in but things are starting to get really good! Hemlock looks so good and so does Born Wicked! I hope you enjoy everything Here's my IMM! I'm enjoying Hemlock so far! I got it a few days ago and I haven't really had the time to read but I'm looking forward to devouring it! I'll make sure to come by your blog to check out what you got! Great stack this week! I love Kelley Armstrong and really need to catch up on that series. And I look forward to your review of Hemlock. So many awesome books this week!! I hope you enjoy them all..especially Goddess Interrupted!! Awesome books this week! I just got Insurgent today, but it was too late to include in my post. Hope you enjoy all of your books! That is an awesome haul!! I love Kim Harrison's books! Fantastic stuff! I love Kelley Armstrong, but I've only read her YA series. Ooo, Born Wicked--another that I'm dying to make time for! I love the Otherworld series by Kelley Armstrong (I don't like her Darkest Powers series like others do), so far I only have book 12, because the books in this series cost more than other books I buy. I own Born Wicked, but I have not had the chance to read it yet. It sounds really good! Hemlock also looks really good! That is a lot of books. You are going to be busy for quite a while Hope you enjoy them all. Thanks for stopping by my shelves. Great books! I want Hemlock super bad! I also received Insurgent. Born Wicked sounds good and I've heard amazing things about the Kelly Armstrong series. Awesome stack of books! Born Wicked is an awesome book, I hope you enjoy it, and Goddess Interrupted is a nice read as well. Enjoy reading! Check out my Mailbox post. Ohh, awesome books! I love the Kelley Armstrong series and I'm currently listening to Born Wicked on audio. Insurgent! I want that book! YAY for Kelley Armstrong. I love her Otherworld Series and cant wait for 13 to be released. Wow Stephanie, awesome haul. So many books :) I can't wait to read Hemlock. Happy Reading!! Wow, lots of Kelley Armstrong books! I still need to read that series. I listened to the Born Wicked audiobook and really enjoyed it. Awesome haul this week!!! I'm really excited to finally get to my copy of Insurgent :) Enjoy your books!! Insurgent is AWESOME! I thought Hemlock was fun to read. Insurgent!! Can't wait to read it. I haven't read any of that Kelly Armstrong series though I read The Summoning forever ago and really enjoyed it. Great haul! Can't wait to read Hemlock!! This is my first time participating in Stacking the Shelves! 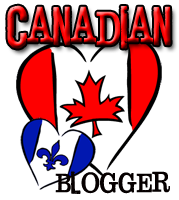 Happy to support a fellow Canadian blogger :) Congrats on all the great books this week! WOW, you all had a HUGE book week! I LOVED Insurgent, and I'm really excited to read Hemlock. Great haul! I love the cover on Insurgent! Yay! now Im participating in your Stacking the Shelves! yay!!!! You have to get COLS! kyaaaaaaaaaaaa!!! the ending.. OMG!! kyaaaaa! I LOVE Kelley Armstrong and those covers really rock! Mine are lame compared!! Haha. And Born Wicked is still sitting unread on my shelf I totally have to read that stat!! Awesome haul Stéphanie! I loved Insurgent! I've heard lots of good things about Hemlock, really should think about adding that to my "to read" list. 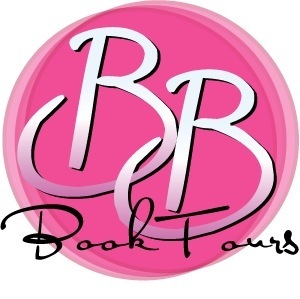 Ashley Rose @ Books in Bloom (YA Reviews) - Check out my 1st Staking the Shelves Post! Great looking pile of books!! Hope there are some great ones in there :) I really enjoyed Born Wicked. What a great books did you got Stéphanie! They are looking fantastic! Born Wicked is so beautiful! I really want to read it! Great haul! Great books this week! I've heard nothing but great things about Hemlock, I really want to read it. Only read Goddess Interrupted, and I and fun with it. I'm totally looking forward to reading Insurgent, and Born Wicked looks really good too. Enjoy the reads! And thanks for this meme, I love it! !